America’s musical history has been shaped by a mix of indigenous influences and imported inspiration. This program brings together two acknowledged gods of the European pantheon – Bach and Mozart – with the brilliant work of WWII-era European émigrés Ernest Bloch and Paul Hindemith. Bach’s six Brandenburg concerti represent the apex of contrapuntal Baroque mastery. His lasting influence can be heard in Bloch’s Concerto Grosso No. 1, written in response to a challenge from his students to prove that “alive and original music” could still be written with centuries-old tools. Hindemith was already a celebrated composer in Germany when he was attacked by the government for his modernism. “Four Temperaments” was conceived as a ballet for another émigré genius, George Balanchine. 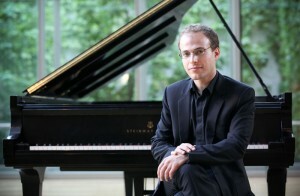 IRIS Orchestra welcomes pianist Orion Weiss. This rising star’s accolades include the Classical Recording Foundation’s Young Artist of the Year award, the Gilmore Young Artist Award and an Avery Fisher Career Grant. One of the most sought-after soloists in his generation of young American musicians, Weiss has performed with the Chicago Symphony, Boston Symphony, Los Angeles Philharmonic and New York Philharmonic. He will be featured on both the pieces by Hindemith and Bloch.